Henry’s successor and son, Henry VIII, was far more interested in military glory than cautious diplomacy and soon declared war on Scotland’s old ally France. English troops unsuccessfully invaded France in 1512 and then again in 1513 with greater success, capturing the towns of Therouanne and Tournai. That same year Margaret’s husband James IV entered the war as France’s ally and attacked England’s northern border on 22nd August, while Henry was away fighting in France. The Scots were eventually defeated at the Battle of Flodden and James IV was killed. This was a great victory for England, Scottish military power had been broken and the crown fell to Margaret’s 18 month old son, James V, with Margaret acting as Regent due to his young age. This was good news for Henry as it meant Scotland no longer posed an immediate threat to him. 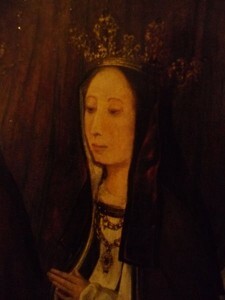 However, things weren’t easy for Margaret as the Scottish nobles did not really accept a woman having so much power. A pro-French faction soon emerged that wanted her to be replaced by John Stewart, 2nd Duke of Albany, who was her sons closest male relative and now 3rd in line to the throne. He was also born and raised in France which sat well with the nobles as he supported the Auld Alliance whereas Margaret was obviously pro-English. 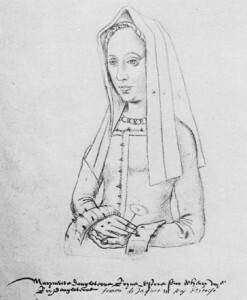 Margaret showed she had political skill by dealing with this threat and helped with the eventual peace that was agreed between England, France and Scotland in July 1514. Once again peace was short lived as Margaret allowed emotions to rule her head. In her bid to secure allies she had turned to the powerful House of Douglas and found herself attracted to Archibald Douglas, 6th Earl of Angus. On 6th August 1514 she secretly married him in Perth with disastrous consequences. Her actions forced to give up her Regency to Albany who also took custody of both her sons, James V and Alexander, when he arrived in Scotland in May 1515. By now Margaret was expecting a child with Angus and retired to Edinburgh, eventually escaping across the border to Northumberland where she gave birth to Lady Margaret Douglas, the future Countess of Lennox and mother of Lord Darnley, the second husband of Mary Queen of Scots. Tragedy was never far away for Margaret and whilst still in Northumberland in December 1515 she received news that her son Alexander had died. Lord Dacre, who was Warden of the Marches, hinted that Albany was responsible but Margaret refused to believe this because if Albany’s intention was to secure his place on the throne then the death of James would have suited his cause much better. Around this time her husband Angus also started to show his true colours. In a bid to save his own skin he returned to Scotland to make peace with Albany instead of travelling down to London with Margaret. All his power and wealth were in Scotland and he feared that by abandoning his country he would be charged with treason. When Margaret finally arrived in London she was well received by Henry and only returned to Scotland in 1517 after a peace had been negotiated by Henry, Wolsey and Albany. Sadly for Margaret access to her son James was still limited showing how she was still not fully trusted. During this time Albany was actually away in France where he renewed the Auld Alliance and concluded the Treaty of Rouen which agreed a marriage alliance between James V and the daughter of Francis I.
Margaret briefly reconciled with her husband Angus when she returned but their relationship soon turned sour again which would have an impact on Scottish politics for the next 3 years. 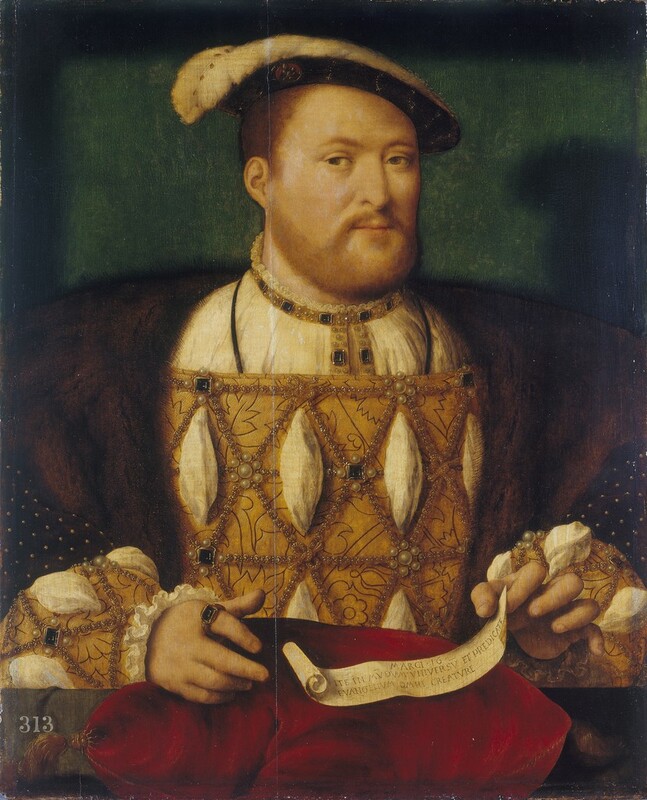 Before too long Margaret discovered that Angus had been living with an old lover and spending her money so in October 1518 she wrote a letter to Henry VIII hinting that she wanted a divorce. This didn’t sit well with Henry both due to his religious principles (ironic given his later actions!) and because Angus was a powerful ally against the pro-French Albany. In retaliation Margaret actually sought allegiance with her old enemy Albany and his supporters and urged him to come back from France. To further complicate matters a feud broke out between Angus and James Hamilton, 1st Earl of Arran, with Margaret siding first with one and then the other. Albany eventually returned to Scotland in 1521 to a warm welcome from Margaret. Angus was forced into exile and Albany, in his role as Regent, set about restoring order to Scotland after 3 years of political wrangling. However, Albany soon started to boast that he could take control of England and organised an invasion in 1522. When this proved unsuccessful he returned to France and Margaret set about arranging her own political party. Albany returned in 1523 to try and invade England once more but this once again proved unsuccessful. He eventually retired to France permanently in 1524 having been stripped of the Regency following a successful coup by Margaret. Margaret was once again on England’s side and was keen for her 12 year old son to be recognised as King. With the help of the Earl of Arran, Margaret brought James back from Stirling to Edinburgh and in August 1524 Parliament declared the Regency was at an end which gave James his full power as King. Due to his young age, however, he was still governed by others, most notably Margaret and in November Parliament formally recognised her as chief councillor of the King. Unfortunately Margaret’s alliance with Arran alienated some of the nobles and the situation wasn’t helped by the fact that Henry allowed his ally Angus to return to Scotland. Both of these things were arguably outside of her control but her next move wasn’t, she formed a new alliance with Henry Stewart, a younger brother of Lord Avondale, and gave him a senior political office. 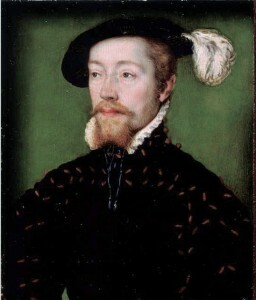 This angered the Earl of Lennox as well as other nobles and Lennox retaliated by forming his own alliance with Margaret’s estranged husband Angus. In the same November that she was recognised by Parliament Angus entered Edinburgh and demanded to attend Parliament, Margaret’s reaction was to fire canon at him! 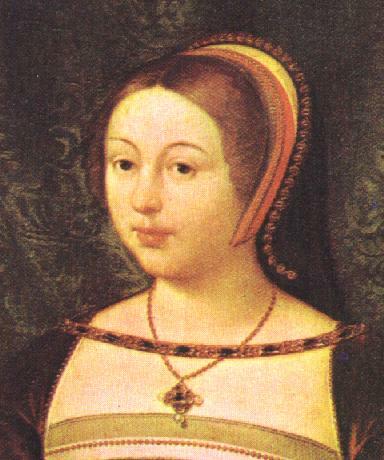 Angus retreated but Margaret was eventually forced to admit him to the council of the regency in February 1525. 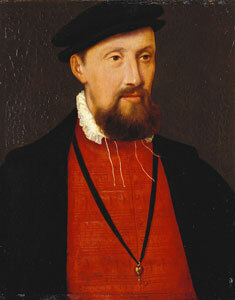 However, Angus soon abused his new found powers and took custody of James V, refusing to give him up for 3 years. This was to cause lasting mental damage to James who developed a deep rooted hatred of the Douglas’s and his English connections. Throughout this time Margaret had continued to exchange friendly correspondence with Albany despite her coup against him. This was largely in the hope that his influence in Rome would secure her divorce from Angus. Her efforts paid off and in March 1527 Pope Clement VII granted her divorce and she went on to marry Henry Stewart (possibly) in March 1528. Unhappiness was never far away from Margaret, she found her new husband to be even more of a cad with women and spending her money than her previous one. It is also possible they had a child, a daughter called Dorothea, who died in infancy. Margaret once again tried to get a divorce and at one point even ran away to the borders, only to be caught and brought back to Edinburgh. Her letters to Henry also show her pleading for both money and protection. In 1538 James V married Mary of Guise and it would appear the women had a good relationship, which must have been some comfort to Margaret. She even reconciled with her husband and records show she made regular appearances at court. Margaret died in 1541 at Methvin Castle, the exact date is unknown but it may have been 8th or 18th October or the 24th November. She was buried in the Carthusian Abbey of St John, Perth. 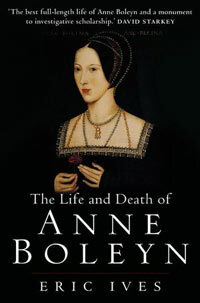 Throughout her life she had fought hard to foster better relations between Scotland and England, as well as secure her own survival. Through it all she showed herself to have both political guile and foolishness where matters of the heart were concerned. 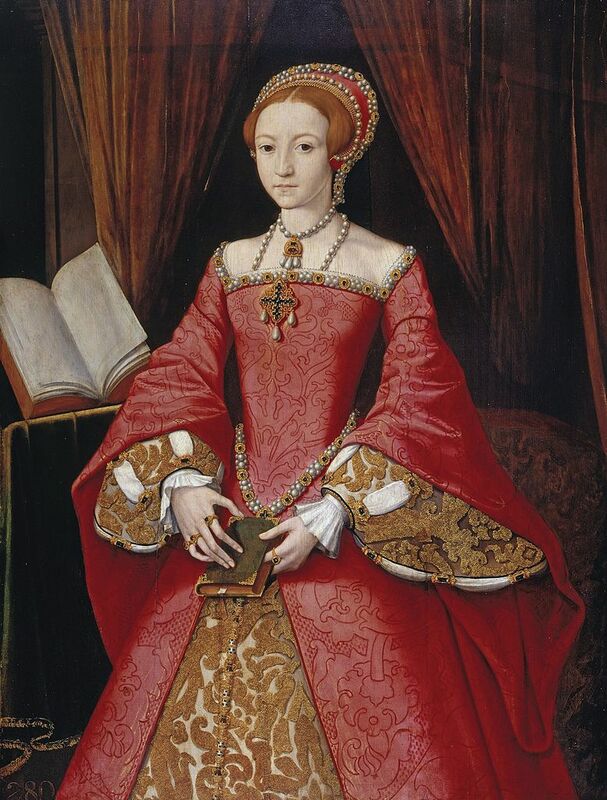 Whatever we may think of her decisions there can be no denying what a strong Tudor woman she was, one who managed at certain points to wield a huge amount of power. This in itself was a great achievement in an age where women were seen as weak second class citizens to their male counterparts. 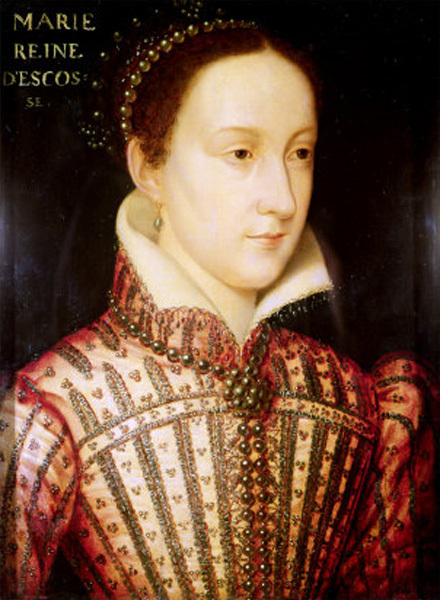 In addition she was the grandmother of both Mary Queen of Scots (daughter of James V and Mary of Guise) and Mary’s second husband Lord Darnley. Her great grandson, James VI of Scotland, the son of Mary Queen of Scots, would eventually become King James I of England and bring about the Union of the Crowns. Although both countries remained sovereign states this was a pre-cursor to the Act of Union in 1707 which fully united England and Scotland under the last Stuart monarch, Queen Anne. This entry was posted in Foreign Policy, Henry VIII, Margaret Tudor, Scotland and tagged Henry VIII, Margaret Tudor, Queens, Scotland by admin. Bookmark the permalink.